I started writing the first book in December, 2010. I began it because I wanted to play about with several of the things I like best in fiction – namely fanciful worlds, some unusual characters (including animals) and a mystery-based plot. I was doing it for fun at that point, purely to entertain myself. Publication has always been a goal, but at that time it was still a distant one. What a hard question. I love all my characters – I had to, in order to spend so many hours with them. Possibly the two I enjoyed writing the most, though, were Eva and Tren. They gave me so many opportunities to joke around. Keeping going. A lot of writers struggle to finish things. It takes a lot of consistent drive to get all the way to the end of a single book, let alone three connected ones. The first one was written just for fun; when I got to the second it had become a public, published project; by the time I began on the third I had readers and fans waiting to read it. The pressure went up a lot. Shaky! In order to publish that first book I had to arrange for test readers, editing, proofreading and cover art myself, without many contacts or much money to throw at it either. I learned html formatting from scratch. I’ve had to find ways to promote the series, when I’m terrible at it. It’s been hard. I researched self-publishing as much as possible before I put out the first book, but there’s been so much I’ve had to learn along the way. And there’s a long way to go yet. Who designed the covers for the series? I said a moment ago that I lacked contacts, and that’s true… except in one respect. I was lucky enough to be acquainted with a fabulous fantasy artist named Elsa Kroese. For the past year or so we’ve been helping each other out: I write for her online fantasy graphic novel, Spindrift, and she does (most of) my book covers. Her work is fantastic and I’m enormously fortunate to have her help. Did you learn anything from writing this series and what was it? Better to ask me if there’s anything I didn’t learn from producing this series! One of the most useful things I learned from the writing related to my own personality and what I like to write best. The Draykon Series is a clear reflection of that: I’ve learned where my strengths are, what entertains me the most, and what to avoid. One of the big advantages to self-publishing is the ease of changing things. The book cover, the blurb, typos, even the text can be easily updated if you so choose, which is so helpful. But it can also be dangerous; it’s almost too easy to change things. Should I try to change everything that readers criticise? That’s a slippery slope that I don’t want to get onto. So no, there isn’t anything I would – or will – change. Each book has had my full effort to make it as good as I can, and they’re complete as they are. Plenty of things. I’m not great at writing about violence, because I don’t like it. As a result I tend to avoid it – my books are quite fast-paced and suspenseful but they aren’t action-packed (that said I ended up doing War quite a bit in the third one). I can also get too involved in the inner lives of my characters and forget some of the background details, so I have to remind myself not to do that. What are your current projects? Will the series end on the third book? Can we expect different stories set in this world? Can we get an excerpt from the third book? That’s four questions, so let’s do them one at a time. 1) My current project is the Drifting Isle Chronicles. This is a shared world project: I worked with four other fantasy authors to create a unique world, and we’re all writing separate, but connected novels set within that world. Mine’s a steampunk adventure, which is a new area for me. 2) and 3) The Draykon Series ends on this book, but it isn’t the end of the Draykon world projects. I’m planning to do another series, connected to the first and featuring some of the same characters. In the long run I may end up doing multiple connected series in this world. There are plenty of stories left to tell, so who knows? Aysun opened his eyes to find bare earth two inches from his face. A hand was shaking him, hard, and the voice — Ven’s voice, he realised — shouted directly in his ear. Even then he had trouble hearing the lad over the ear-splitting noise of destruction, shrieking draykoni and wailing alarms. ‘I’m alive,’ Aysun grunted, and Ven mercifully ceased his attempts to shake him to pieces. He tried to sit up, but his back protested forcibly. A curse escaped his lips as he eased himself back to the ground. He lay still for a moment, trying to assess the damage. His body hurt almost everywhere, especially his back, but he didn’t think anything was broken. He flexed his limbs one at a time; all functional, if bruised. It was only his back that was the problem. ‘Help me up,’ he said to Ven through gritted teeth. The younger engineer was quick to obey, supporting his commanding officer until he was on his feet again. Aysun’s back continued to protest, but as it didn’t give way he ignored the pain. Aysun nodded. This was bad news; the tree in question had been one of a number of glissenwols that he’d turned into defence towers. Their wide caps were ideal for supporting war machines. He and Ven and their team had manned this one all yesterday and today, hurling boulders and explosives at the invading draykoni. They hadn’t done much damage, he had to admit; trying to hit an airborne enemy with missiles such as those was like trying to down a fly with a pellet gun. But they’d caused enough damage and enough confusion to break up the co-ordinated attacks the draykoni were attempting to launch against the city of Waeverleyne. It was only a matter of time before those attacks were turned on the war machines themselves. The enemy draykoni had already retaliated in kind: they had collected up the boulders Aysun’s engineers had been hurling at them and started dropping them down upon the citizens of Waeverleyne. A few minutes ago, three draykoni had come at Aysun’s tree, each bearing boulders somewhat larger than his head. There hadn’t been time to evacuate. One minute he had a draykon in his sights and a missile ready to launch; the next instant all was confusion as the cap split and fell and Aysun fell with it. He was grateful for two things. One, that his team had had the foresight to stretch nets under the glissenwol trees in case of just this calamity. The fall would have killed him otherwise. Secondly, he was profoundly grateful that the exploding missiles he was using detonated on impact and left nothing behind. These, at least, could not be turned against the defending forces. Ven was looking at him oddly, his expression apprehensive. ‘What is it, Ven?’ he asked tiredly. I’m just about to start reading a book called Victory at Any Cost by fellow indie authors K. M. Johnson-Weider . It’s the sequel to their superhero thriller, Rising Tide , which I enjoyed very much. Which are your all-time favourite authors / books? Due to a variety of peculiar circumstances, I attended eight different schools and colleges before I was eighteen (that’s not including the three universities that came afterwards). Some of those were state, some were private. As a result, I’ve studied a real mix of subjects – everything from English Literature (always a favourite), to Latin & classical civilisations, to fashion and textiles. I met my partner through an online, text-based multiplayer (fantasy-themed) roleplaying game. How geeky is that? I had to move countries in order to resolve the seven-year long-term relationship thing we had going. I studied ballet for years. I still have my pointe shoes, though I haven’t danced on them in a long time. Thank you for being readers! None of this would be possible without those who are willing to give a fair chance to books by independent authors, and I’m always grateful for that. How do you come up with names for the characters and places in your books? I know it doesn’t sound very interesting, but… I just make them up. I’m not even sure how. I just run sounds through my brain until something clicks, then I figure out how to spell it. It doesn’t always work. Which do you think is more important, world building or character building? Neither. Or rather, both. I don’t think the various elements of a story can or should be divided up like that. The characters should be a product of the world they live in, and the world should reflect the attitudes of its peoples. They’re too closely bound up together – too much the same sort of thing – to give strong priority to one or the other. How easy is it for you to write non-human characters? Surprisingly easy actually! I really enjoyed writing animal characters like Rikbeek, Sigwide and Prink, and I’m looking forward to coming up with some new animal friends for the next series. They’re great because they can be quirkier than purely human characters, full of oddities that are fun to write. Then of course there’s the character of Pensould, who turns up in book two. He usually wears a human body and he’s sentient and fully intelligent, but his mind isn’t human at all. He was harder to write, but a fun challenge. If you could not write in the F/SF genres, what would you be writing? Historical fiction, probably historical mysteries. It’s my second love. But I keep coming back to fantasy, because it gives me the freedom to be as imaginative and creative as I want. I have a powerful imagination, and I like to be able to use it in any way that I like. Can you tell us more about the world in your books? The world – or the part of it that we’re dealing with in this series – is called The Seven Realms. It’s largely divided into contrasts: one half is “Darklands” territory, which means it’s magically manipulated to be dark all the time. Most of the rest is Daylands – which of course is the opposite. Alongside these lie the Off-Worlds: the Upper Realms (Iskyr) is an alternate plane of reality closely connected to the Daylands. There are multiple suns up there, so it’s always light. The Lower Realm (Ayrien) is closely connected to the Darklands, and always dark – though there’s some weird moon activity going on down there. The Off-Worlds are very fluid and nothing stays the same out there for long. Landscapes change at the drop of a hat, and those with enough of a certain kind of talent can manipulate their surroundings in some interesting ways. Those places are dangerous, because you never know what you’re going to get next. How easy or difficult is it to write a character like Llandry? One who is pulled between two completely different worlds? I’ve seen it happen so many times in Urban Fantasy that I’ve always wanted to ask this question! Oh my, Llandry. She was hard to write for several reasons, being a weird mixture of fears, anxiety and unlikely courage. I sometimes had to stop and think really hard about how she’d behave, because there were multiple things going on there. First I had to imagine Llandry in a world that’s completely different to my own, but familiar to her. Then I had to throw her into another world that’s unfamiliar to both of us and figure out what she’d do. It involved some interesting mental gymnastics! Ebooks. Paperbacks (in English) are scarce and expensive where I live; ebooks are much more convenient and affordable. Cats! I love dogs, especially beagles, but I’m a cat person at heart. Um. Clothes, shoes, phone and lip balm. In the mornings, at my desk in my living room. If you were deserted on an island, who are 3 famous people you would want with you and why? I don’t think there are any famous people I care enough about to want them with me on an otherwise deserted island. I’d rather have my partner, my dad and my favourite teddy bear. List 3 of your all-time favourite movies and 3 of your all-time favourite music bands. Music: Phil Collins, Delta Goodrem and Within Temptation. I have about thirty, but I’ll pick one: Nadia Ali, Love Story. The Castle TV series. I love it so much. 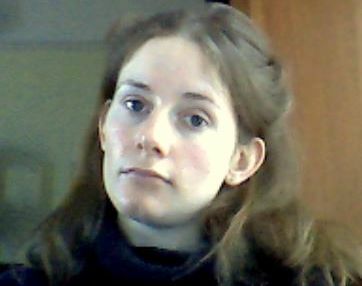 I’m an independent fantasy author, born in England but now resident in the Netherlands. I live out here with my partner and two cats (every author has at least one cat, right? It’s nice to fit in). I’ve loved reading since I was a young child. In fact, it’s fair to say that I spent most of my teenage years living in books. When a person spends that much time dreaming in text, taking up writing is the only logical onward step. I like to write fantasy fiction because it gives me all the scope I could want to exercise my powerful (and overindulged) imagination. I have plans to write some historical fiction someday, but for now that can wait. 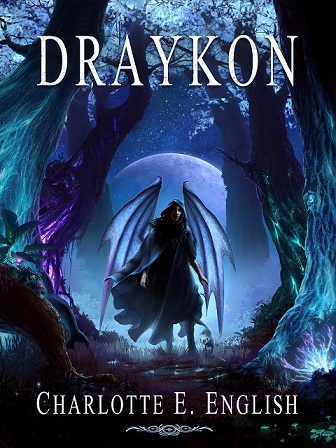 The Draykon books are my first fantasy series. The third book is coming out soon, which means I’m a bundle of mingled excitement and nerves right now (not that unusual). My next project is a steampunk adventure with a bit of intrigue and at least a little bit of romance. When shy and retiring Llandry Sanfaer discovers a mesmerizing new gemstone, she suddenly becomes the most famous jeweller across the Seven Realms. Demand for the coveted stone escalates fast; when people begin dying for it, Llandry finds that she herself has become a target. Lady Evastany Glostrum has her life in pristine order. Prestigious, powerful and wealthy, she is on the verge of crowning her successes with the perfect marriage. But when her closest friend is murdered for the jewellery she wears, Eva is drawn into the mystery surrounding the curious “istore” gem. The emergence of the stone is causing chaos across the Seven. Gates between the worlds are opening at will, pulling hordes of creatures through from the shadowy Lower Realm and the glittering Uppers. As Eva works to discover the culprit behind the spreading disorder, Llandry must learn the truth about her precious istore stone – before she herself becomes a victim. 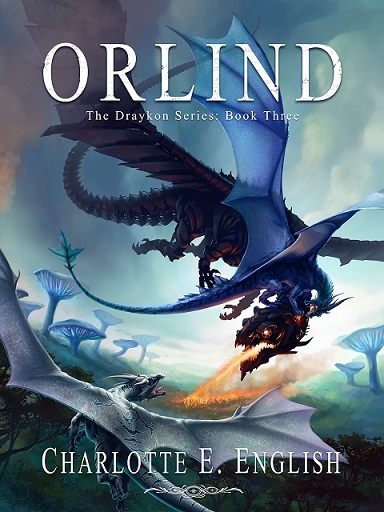 War has broken out between the humans of the Seven Realms and the long-lost draykoni race. Llandry’s home city is under attack, its defenders scrambling to find a way to fight the draykon enemy. The outcome of the conflict seems certain – until the draykoni vanish. Where could they have gone, and why? Lady Eva Glostrum is convinced that this means bad news. The Lokant sorcerer Krays is still at large, and his mysterious projects centre on her world – and the draykoni. Could he have something to do with their disappearance? If so, why? And what will it mean for the Seven Realms when the draykoni come back? ngths to prevent him from damaging the Seven. Her quest will take her right into the heart of Krays’s Library – and there she will uncover another long-kept secret. 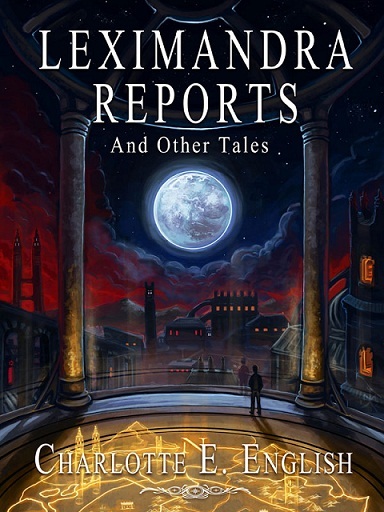 In this four-story anthology, Mr Pitren Warvel makes a mess of his sorcery; a young reporter pursues Lady Evastany Glostrum for an interview; Rikbeek the gwaystrel encounters a spy; and the Sanfaer family develop a new approach to keeping poultry. 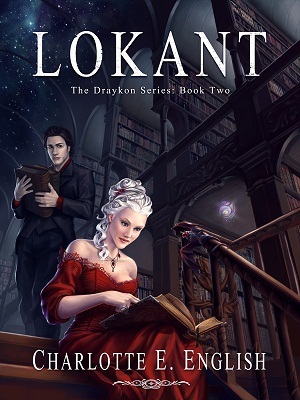 This entry was posted in Author Interviews and tagged Author, author interview, Charlotte E. English, draykon, Eva, High fantasy, llandry, lokant, Orlind, urban fantasy. Bookmark the permalink. I love chocolate milk too. In Holland there is something called Chocomel which comes in cartons and can be drunk cold or warmed, it makes wonderful hot chocolate! Wow, what a great interview! Thank you for sharing, Charlotte :-)) I greatly enjoyed it. I love your worlds and characters and creatures and the books, of course, very much! Thanks for the fun interview Ritesh and for sharing a bit about yourself Charlotte. I require choclate and Doritos while reading or reviewing! Can’t function without coffee in the morning:) I love books with world building. I have never read abook quite like yours. Fascinating. I will be reading them soon! Thanks for the comment! Doritos are terrific indeed, especially if you add cheese and sour cream and oven bake them for a few minutes.. this does nothing useful for the calorie count, of course. I hope you enjoy the books! Thank you for the kind comment and I do hope you enjoy the read(s)!